Many teachers and room parents dread the job of organizing classroom volunteers—the endless “reply all” emails, the last minute phone calls, and the scrambling for coverage when the designated volunteer can’t make it. Imagine a system that would allow flexibility, and a way to see the classroom volunteer calendar at a glance. Your dreams have come true! 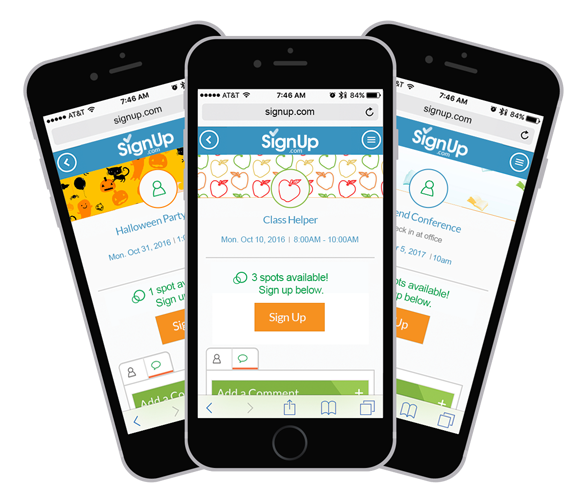 SignUp.com has taken the hassle out of scheduling classroom volunteers with free online SignUps with automated reminders. It’s so simple with our Repeating Spots feature – simply register your free SignUp.com account to get started, launch your SignUp and, when creating your spots (ToDos and ToBrings,) click the Repeating Pattern button. In the following window, set the frequency and duration of your recurring volunteer needs. Save and you’re done!